in the ordinary, the authenticity present within humble simplicity. The principles of Rightness, Quietness, Purity, and Roundness lead the way into the unity of humanity and the natural world, and the solicitude therein. These principles emphasize that through tea, we can cultivate ourselves both in body and mind, that we can realize the harmony between ourselves and the objects of our physical environment, entering a state wherein a dialogue between the poles of matter and spirit, form and emptiness, harbor understanding and appreciation. 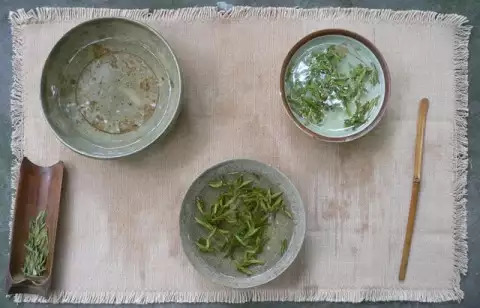 Take, for example, the careful selection of tea leaves, of teaware, the preparation of the tea space, the arrangement of flowers, the planning of exhibitions; everything revolves around and unfolds within this ideological aim. Tea allows people to settle into tranquility and, consequently, the tea space is the native land of contemplative thought, the home of inspiration. A bowl of tea, seeing the nature of mountain and river, seeing inner peace, and the boundless creative possibility therein.